Yes, we can do plumbing! 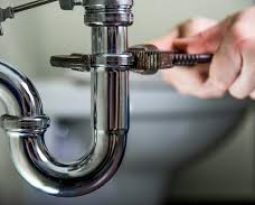 Plumbing problems can span from leaky faucets to old pipes. 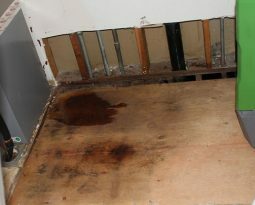 Small problems become major problems, so it might be best to tackle those small DIY plumbing projects once they arise. Before you begin your project, have a look at this guide for beginners. The fundamentals – Every home is made up of two separate plumbing systems. One system brings in the clean water, the other takes out the wastewater. The water which comes to your home is measured by a meter and pressurized in order that it may travel throughout the pipes. The main shut off valve for yours water system is located beside this meter. This is particularly important to know during a plumbing emergency. The water system in your house is equipped with valves that shut off the water in a localized area. Cold and hot water – Cold water is ready for use from the moment you turned on your water. Warm water, requires a source of heat. The source of heat for your warm water is a tank, usually cylindrical in shape. 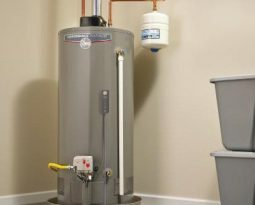 Dependent upon what type of warm water tank or plumbing system you can have, you may need to depressurize your tank before the warm water will heat up. 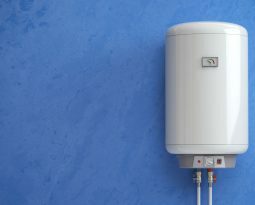 Warm water tanks can be set to different temperatures. The economic choice for the warm water temperature is 120 degrees fahrenheit. Automated dishwashers might need a higher water temperature to function. Always check the manufacturer’s requirements of your appliance before adjusting your warm water tank to a high temperatures. Drainage systems – Homes have two kinds of drainage systems sewer and septic systems. Both systems use downward traveling pipes that rely on gravity. Drainage systems have vent traps and clean outs that help the wastewater flow throughout the pipes. Vents allow air to enter the drain pipes. Traps are S shaped pipes that allow the water to flow throughout the drain pipe and seal it to prevent sewer gas back into the house. Toilets are self trapped, bathtubs have drum traps, and some kitchen sinks have grease traps. Where to start – Before beginning your repair, always turn off the water supply to the appliance or the main water supply. The plumbing code official will also tell you what plumbing work is allowed for you to perform. Some jobs might need to be completed by experienced professionals here in order for the work to pass a town inspection. Before tackling any hydraulic work, know where the water shut off valves are located. Not every job requires the water for the home to be shut off, but it’s safer to shut off the entire water supply to prevent water damage. Make sure that you’re building by code before you begin removing pipes in your home. Look forward to part 2 soon!